In this article we explain all you need to know about the BetVictor Best Odds Guaranteed promotion including a step-by-step guide on how to claim the offer as well as the key terms you should know about. When it comes to horse racing, BetVictor are up there with the best, so it’s no surprise they offer one of the oldest and most conventional offers in Best Odds Guaranteed. What Is BetVictor Best Odds Guaranteed? BetVictor offer Best Odds Guaranteed on all UK & Ireland horse racing so if you take a price on a horse and the Starting Price (SP) is bigger then BetVictor will pay you out at the bigger odds. For example, if you take a price on a horse at odds of 4/1, but the SP is 6/1, then you’ll be paid out at the bigger price of 6/1 – with the difference returned in cash! Furthermore, for as little as a £1 stake, you can watch real-time coverage of races and also race replays making BetVictor one of the best platforms for your horse racing bets. Best Odds Guaranteed is open to both new and existing customers. 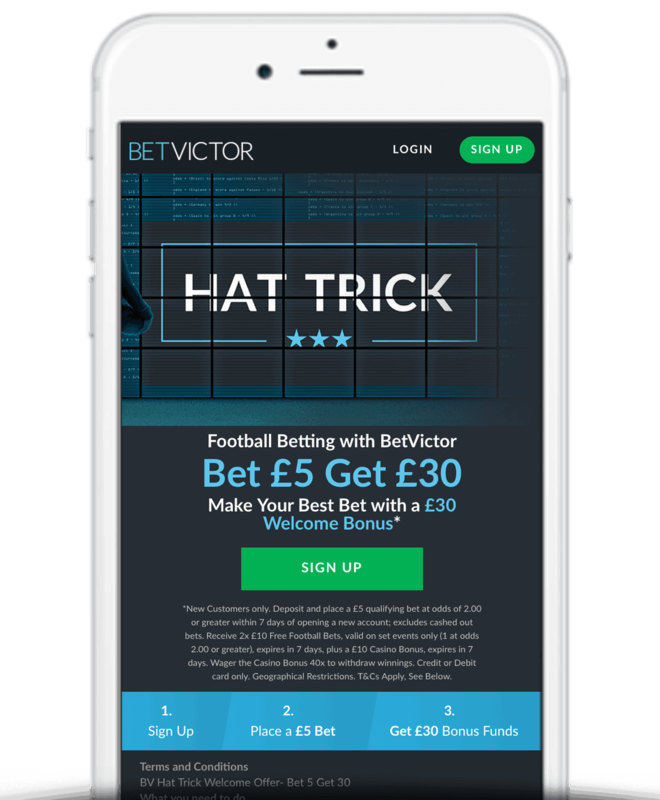 Those without an account can take advantage of BetVictor’s Bet £5 Get £30 in free bets sign up offer (outlined below) or view a full list of offers and BetVictor promotion codes that are available. If the SP (starting price) is bigger then BetVictor will pay you out at the bigger odds. ​Applies to bets placed online and on mobile. Ante-Post and In-Play bets do not count. In summary, Best Odds Guaranteed from BetVictor is a fantastic promotion for those who are into horse racing. Now you can bet with the assurance that no matter when and what price you take, if the odds are bigger come the start of the race you will be paid out at those greater odds.